The second piece, The Bee Symphony , is a collaborative work between Watson and Marcus Davidson, and it features five singers credited as The Bee Choir. Their minimal and distant harmonies are contrasted with the field recordings of an English garden full of beehives, in a way that Virginia Astley surely would’ve adored. A simply gorgeous, spectral sound results, an imaginative intervention of music in a site-specific environment, and a work that succeeds totally in creating a ‘unique choral collaboration’. Davidson composed and arranged this using tapes supplied by Watson and Mike Harding, but the actual event appears to have been recorded live. While it would conceivably have been possible to assemble this work in the studio through combining separate recordings of bees buzzing with singing humans, the fact of live recording adds considerably to its aesthetic value, and one can certainly make out a kind of strange organic improvisation taking place between the humans and the bees, at some deep level. Composed and arranged by Davidson using recordings made by Watson and Mike Harding, the twenty-minute live recording The Bee Symphony presents a unique choral collaboration combining the vocal harmonies of honey bees and humans, with the bee sounds recorded at an English country garden and Dylan de Buitlear, Lisa Coates, Steph Connor, Lewis Marlowe and Shendie McMath constituting the so-called ‘Bee Choir’. In the true spirit of cross-pollination, the human voices sing in real time with actual notes sung by the bees in the field recordings (specifically, Davidson notated the bee chords and note clusters, and then scored the results for the choir). What results is a fascinating commingling of insect and human utterance that exudes a somewhat primal character (in the choir singing specifically). In certain moments, their respective sounds move in and around one another, as if each is responding to the other, with the bees’ buzzing sometimes swelling into a violent swarm and the voices assuming a dark choral character that might remind certain listeners of Ligeti’s Lux Aeterna . As the piece enters its more intense second half, however, the elements, now conjoined into a blurry mass, begin to surge with wave-like force, a development that renders the piece all the more engrossing, until a gradual diminishment draws the piece into silence. Put simply, ‘Cross-Pollination’ finds Watson continuing to stand out from the field recordings crowd, so to speak. The conceptual imagination he brings to the two pieces is matched by the excellence of their execution, and the result is field recordings-based pieces raised to the level of art. In the second piece we also get to hear the work of Davidson. The Bee Symphony is a symbiosis between nature and humans. The sounds of bee colonies and the human voice are brought together in a search [for] their harmonies. Marcus Davidson used recordings [of] the bees that were made by Chris Watson and Mike Harding (Touch head honcho) as [a] base for his composition for five voices (The Bee Choir). The music starts out with soft field-recordings where we hear some birds twitter and a soft breeze. Quickly an occasional bee pass by which eventually swells up as if you have your head stuck in a beehive. And right at that moment the choir sets in. It [isn’t] words they sing, but instead the voice follows the sounds of the bees continously. The voice lines are build up from microtonal shifting sounds which creates a humming drone that creates a harmonic symbiosis with the bees. At some points you can’t even tell the different voices apart. It can be bees, it can be human voices, you just can’t tell. It is a pure cross-pollination between nature and humans. The music contains huge dynamic variations where both voices go through the whole volume spectrum. This creates a continuous tension which makes you want to listen over and over. For the second track, The Bee Symphony , Marcus Davidson used Watson and Mike Harding’s recordings of beehives in unspecified parts of England to compose a choral piece that worked with harmonies. Bees like a distant drone of a hurdy gurdy eventually separate into individuals, combining with human choral voices. I did dread hearing this live performance recorded in 2010 at the Music Research Centre in the University of York, but it works impressively. The interaction between the trained voices and the bees is done sensitively and the first instinct is to think of Ligeti’s compositions. The buzzing drones of the glorious bees and the smooth drones of the choir run parallel, intertwine, diverge, swarm to a peak and dive menacingly. A grand sequence of events when taken for what it is, it does also encourage the activity of interaction rather than passive listening to the natural sounds. The Bee Symphony , Watson’s collaboration with Davidson, starts where part one ended. Morning birds chirp and the distant hum of a bee swarm gains traction alongside a midground drone that utilizes a throaty, ghostly vocal ensemble to great effect. (The five member buzz-worthy choir was recorded live at the University of York in December of 2010.) The human voice here mimics the delicate and speedy movements of honeybees, and harmonizes as a unit just as a swarm shapes itself in unison like an army. By phasing the fore/backgrounds throughout, Watson and Davidson keeps the bees and the humans dueling, mixing the organic and composed effortlessly. The second track, produced in collaboration with Marcus Davidson, is the 20-minute The Bee Symphony . Recorded live at the University of York’s Music Research Centre, the piece was devised, apparently, to “explore the vocal harmonies between humans and honey bees”. It’s a lot more interesting than it sounds: the sweetness of birdsong contrasts with an eerie, monastic chorus of wordless vocalisations that ebb and flow in a swirling, drone. The birdsong slowly fades and the hum builds, rises and falls. At times it sounds like the voices of the undead, while at others like nothing else on earth, and it’s hard to imagine a sound that seems less ‘of nature’. I know more about birds than about insects, but bees must exist in the Kalahari. On the other half of Cross-Pollination The Bee Symphony we leave Africa and land in England, inside a beehive. Chris Watson and Touch-boss Mike Harding have recorded bees in one or several hives and the composer Marcus Davidson haswritten/arranged a choir of five people singing in harmony with the humming and buzzing of the bees. Birds, too take part in the periphery, from the immediate surroundings, by the beehive in the English countryside. And for 20 minutes, the human voices meet the ancient sound of the bees. The idea is that the voices should sing in harmony with the bees and Davidson has noted the humming of the bees (close to an A), then composed the arrangement for the choir. It works extremely well. A wordless tune, at times reminding me of medieval song, which fluctuates on opposite sides of the bees’ humming, if that makes any sense. In the end the bees make a powerful, droning noise. It is dark, as did it spring from the underworld. The light voices float on top. Would it have been even more powerful without the choir of human voices? Possibly, but then that isn’t the point of the piece. Which – in its way – is the most fascinating piece of choral music I have heard in a very long time. On the subject of droning invertebrates, The Bee Symphony makes up the rest of Cross-Pollination. Here, Davidson combines Watson’s recordings of honeybees with similar documentation by Mike Harding before arranging a choral accompaniment to the apoidean sounds. The Bee Choir gives a human countenance to the bees’ buzz, their vocalizations following the swells and undulations of the high-frequency beating of the tiny wings. It is a fascinating experience and although the sounds of animals have always interested me, hearing human voices mimic the bees makes me listen to the bees here and in my garden in a more focused way. This has always seemed to be Watson’s goal on his previous solo recordings and Davidson has hammered this point home with firm precision on The Bee Symphony. While I think I prefer Watson’s regular recordings, unadorned moments in time caught on tape, I do feel that Cross-Pollination is a successful experiment. It would be nice to hear the bee recordings on their own but equally it would be interesting to hear more of Watson’s recordings integrated into other works. Davidson has done a wonderful job here; the balance between the choir and original recordings is perfect. Equally, Watson’s way of playing with time on Midnight at the Oasis could be employed in a number of different environments with, I imagine, interesting results. The Bee Symphony, a composition originally conceived by Watson for London’s 2009 Pestival (the International Insect Arts Festival), is a remarkably innovative and musically effective concept piece. Davidson transcribed Watson’s recordings of bees and used the transcription to create a 20-minute choral piece. Though at times the piece brings to mind Penderecki’s microtonal choral music or Ligeti’s textural clouds of sound, it’s difficult to think of any vocal piece quite like this one. Davidson built chords for the choir based directly on the sounds of bees – allowing voices to separate by microtones and gliss up and down together over droning notes all while maintaining a powerful compositional curve. Watson blended the choral sounds with the sampled bee recordings, using the sounds of the insects as the piece’s beginning and end. During the composition, he subtly arranged the samples around the live voices, making for a somewhat unnerving but strangely natural sonic hybrid. The composition’s most powerful moment occurs near the ¾ point, when deafening tape noise suddenly overtakes Davidson’s climatic choral chords, sending vocal soloists scurrying downward in microtones. Midnight at the Oasis and The Bee Symphony work as conceptually powerful companion pieces. The first, a time-lapse snapshot of the South African desert, lets nature speak for itself and in the process, illuminates the parallels between environmental sounds and man-made music. The second brilliantly uses the environment as a template for composition, then weaves the source material (bee sounds) and the end result (high brow choral music) together, making for a wildly inventive blend. Together, the pieces make for a startling innovative album that pushes the boundaries of both electroacoustic music and contemporary classical composition. The Bee Symphony is a collaboration with Marcus Davidson fellow Touch artist in his work as a member of Spire, an organ based project. The title of the album refers both to the subject matter and the nature of artistic collaboration, with a touch of linguistic pun and moving beyond such matters to the composition of the tones of the bees. They have been recorded in and around their hives in an English country garden The composition of the recordings is very much in the form of a choral work peppered with free form field recordings and rendered in a 4:1 surround sound system by Chris Watson. It mimics the reverence of tabernacle choristers and constructs a nature choral from the sounds of the bees. Marcus Davidson notes “The first thing that struck me about the bees was how tuneful they were. During the day, their pitch was always based around A an octave below 440, the note we tune orchestras to. I found that the bees formed chords around the A, which varied depending on their mood. I spent time notating these bee chords, or note clusters, and as the bees sing easily in the human vocal range, I then scored the actual bee music for choir.” The presence of choral voices augmenting the project is sometimes strange given the material and field recordings of the bees but perhaps speaks more towards the idea of cross pollination between the artificial divides of the natural and human spheres. It also holds for ideas of the hive mind, of collective thought and action that may drawn between communities of insects and groupings of humans around collective concerns. Conceptually it holds within the concerns of early music, field recording and technological developments in sound. It is clearly a highly composed work whose appreciation depends on both an ear open to the reception of classical music and not averse to experimentation or the technology of sound. … Despite the beauty of this composition, it is especially the second piece, The Bee Symphony that tempts me a lot. Chris Watson & Mark Davidson work together to create a harmonious balance between electronics, bee sounds and a (human) choir. The interplay of vocals and samples of bees intensifies as the 20 minutes long song progresses. The intense threat currently posed by the song does make me think of some compositions by Wendy Carlos & Rachel Elkind (though they are structurally different, the same intense threat is created, compare for example, with the intro of Kubrick’s The Shining). The intensity of this composition requires you just to listen. When I listen to this music, I almost automatic stop reading, stop writing, stop cooking or any activity. This bee symphony absorbs my attention in a rarely seen manner. It is a true gem that I often will listen to. What on earth am I doing inside the house? The sun is bursting, with a totally friendly temperature, which scream: walk! walk! walk! But no, I am inside, listening to music. Music made with the use of field recordings to be precise, as is certainly the case with the first piece by Chris Watson. Entirely recorded in the Kalahari desert, from sunset to sunrise, but then trimmed down to twenty-eight minutes. A remote area, where most of the wildlife is awake at night – with lots of insect chirping and buzzing. Its almost an electronic piece of music, which I guess is exactly why this is such a great piece of music. With much of the field recording artists who merely capture the environment, Watson takes it all a step further and actually composes with those sounds into quite a captivating piece of music… No by looping sounds, or putting on fancy plug-ins, but merely a process of editing and fading. Simple but difficult in order to create such an overwhelming mass of sound. And masses of sounds is also what’s happening on the second piece, which is by Watson and one Marcus Davidson. It explores the vocal harmonies between humans and honey bees. Watson is here responsible for the field recordings used (which he did with label honcho Mike Harding), while Davidson gets the credit as composer. The bee choir consists of five human voices, who buzz like bees. If you are melissophobic then this will surely be a scary piece. 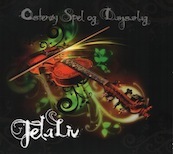 A lovely CD of music derived from nature, as well as an interaction of human activity and animal sounds. Now its time to go out and the hear the real action. Cross-pollination is the germination of one species using seed from another. More specifically, the name of this album comes from an event that was held on the South Bank a couple of years back, which sought to combine human voices with the sounds of insects to produce new musical hybrids. As part of this, the sound recordist Chris Watson and the composer Marcus Davidson created The Bee Symphony, which took recordings Watson and Touch’s Mike Harding had made at bee hives, and set them in a choral context. The production of this piece came at a time of increased focus on the relationship between bees and humans, thanks to the worldwide spread of Colony Collapse Disorder, the causes of which are still unclear, but which are more than likely man-made. A quote is famously (if perhaps erroneously) attributed to Albert Einstein in which he was purported to have claimed that if bees were to entirely disappear from the planet, then humans would be extinct within four years. Without their role in the pollination process, the plants which we rely on for food (or to feed the animals we rely on for food) could die out, with terrible consequences. It is an extreme example of how one species can not just make convenient use of another to prolong the life of its genetic material, but actually be entirely dependent on another for its continuation. Chris Watson is pretty much the lord of recording the natural world. He ventures all over the planet armed with his microphones. For the first recording here Midnight At The Oasis he presents a time compression from sunset to sunrise in the Kalahari desert. Most of the wildlife in this habitat is nocturnal and so these recordings represent a scene one could never really see. Perhaps a tiny glimpse under the moonlight but I imagine it is dark to say the least. And so these recordings transport the listener to the remote habitat where all these delicate insect rhythms can be heard. The second recording was composed and arranged by Marcus Davidson using recordings made by Chris Watson. The project was originally conceived to explore the vocal harmonies between honey bees and humans, the people involved in these vocal parts have been dubbed ‘The Bee Choir’. The bee sounds were captured around and within an English country garden and are absolutely magnificent. As with all of Chris Watson stuff it really does get as close to the action as possible. The mixing with the human vocals works a treat and makes for a unique listen. … The Bee Symphony, contrary to the first track seems out of this world, Chris Watson commissioned composer Marcus Davidson to add choir parts to recordings made around a beehive. After Brian McBride’s album The Effective Disconnect and Koen Holtkamp’s Gravity / Bees, the disappearing bee phenomenon particularly obsesses musician as the social quality of these insects obviously echoes the human community facing the degradation of their own shared environment. As the choir harmonizes with the bees, relation and similitude are drawn in your mind between the two universes and the parallelism and the covering of both elements constructs a feeling of tragedy, while translating too, a sense of strength of such community, but unable to fight the risk of collapsing. It is surprising how well harmonious and interrelated are the voices of the five singers with the different types of bee humming. You won’t see a beehive the same way next to having explored this composition. Touch: Spire at St Botolph without Aldgate, 21 June 2012. The Passing (for organ and tape, apparently includes recordings from space) was (alongside the Ligeti which followed it) one of the night’s twin highlights. The granular pre-recorded audio of synth tones and ghostly voicings perfectly complemented glowering swells of organ ambience, which became almost proggy as the piece built to a crescendo inescapably inflected with the liturgical resonance of a threnody. The richness of the sounds at play here was as mesmerising as the evolution of the performance was powerfully compulsive. You can hear it for yourself on Davidson’s website. The repertoire is mostly local, but also includes central material from Western Norway. The record includes a broad spectrum of traditional pieces and not least a composition by Marcus Davidson, Huldresong , a piece for voices in three movements. This is program music – a story told of a singing hulder, the courtship of the hulder and finally her wedding dance with a farmer’s son. While the theme is far from original, the audible result provides an effective expression, with harmonies and discord played out in broad sound planes without rhythmic pulse. This is the most radical and innovative piece on the album, forceful and performed strongly and precisely. The effect lies in the musical contrasts in the piece, the tensions in the harmonies which illustrate the underlying theme. Bee Symphony at the Queen Elizabeth Hall was one of the highlights of 2009. Watson placed his faith in composer Marcus Davidson to open the evening, with a choral creation that pitted five vocalists (attired in black, neatly accessorised with yellow) against the sound of hundreds of recorded bees. The piece was in three sections, reflecting Davidson’s discovery that bees buzzed a different note depending on their mood – flattening a semitone from around a centre of A to around a centre of G sharp in the evening – then back up to a big A when you go poking a stick into their hives and begin questioning the entire basis of their societal order. Buzzing energetically around that central pitch, It became impossible to tell where the human voices ended and the bees began, blurring into one big drone, most obviously reminiscent of Ligeti. Bird song drifted around the mix, making the whole sound hazy and idyllic. In fact if it weren’t for the images of bee-stung hands which accompanied it, this superb composition was almost enough to make me care for the little buzzers. The piece started with bird song and a picture of Olivia’s house and gradually faded into bees buzzing. We were in the middle of a beehive with bees all round us. Then the singers began but with no words, playing their voices as if they were musical instruments. They harmonised with the bees, counteracting the aggression when the bees were angry, and following the varying moods on other parts of the recording. It was the most amazing experience. Though not something either of us would normally have thought of attending, we are pleased not to have missed it. None of the audience stirred, and we were just surrounded by the most beautiful sounds. Two organists are featured on the recording; Charles Matthews and Marcus Davidson are both talented performers, sympathetic to new music. Davidson’s two compositions, Opposites Attract and Psalm for Organ 3 , begin the first CD with an impressive display of the Saint Pierre organ’s capabilities. Huge clusters and complexly stacked chords show off the instrument’s ability to create thunderous forte, while delicate melodic excusions demonstrate its capacity to render soft solo passages in a graceful whisper. This two-disc set is a document of the night’s music, and while I’m rather certain it doesn’t compare to being in the cathedral that night, Spire: Live in Geneva Cathedral Saint Pierre remains an engrossing treatise on the relevance of an instrument too often forgotten by modern secular music. The album’s structural phase features modern organ compositions performed by Charles Matthews and Marcus Davidson. Interestingly, Matthews chose to play two pieces by Davidson, as well as works by André Jolivet and Liana Alexandra. Davidson’s contribution is Henryk Gorécki’s 16-minute Kantata fr Organ Op 26 . 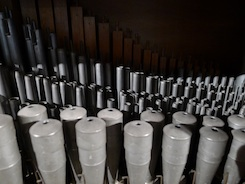 The selections performed in this phase exhibited the organ’s austere beauty, as well as its potential in the realms of more modern composition. … Spire: Live In Geneva Cathedral Saint Pierre is the sequel to that release, and in a move that is ultimately very pleasing to me, it goes largely in a different direction than the first compilation in the series. For starters, a good portion of the work on this release is actual, straightforward organ music by composers such as Marcus Davidson and Henryk Gorécki. Along these same lines, all of the recordings on this newest Spire compilation (both straightforward organ pieces and electronicly-enhanced ones) were recorded live in the Geneva Cathedral and although it’s certainly no substitute for being there in person, the recordings breathe with a life that only enhances their quality. The first forty minutes of the first disc is taken up with five different pieces for organ, and the variety of them gives one a good idea of the range of expression the instrument truly has. The opening Opposites Attract by Marcus Davidson moves as the title somewhat suggests, playing back and forth between loud, majestic moments and quieter, more playful ones (as if the two sides of the piece are courting one another). I’m not sure that the 7″ single is the best format for experimental/drone music, but if you are going to buy some drone singles you might as well go with some of the Touch Seven series. They are beautifully packaged, with striking full-color photographs on thick card stock covers, and so far have made the format work for this kind of music. This is the tenth installment in the series (other volumes are by notable artists like Lawrence English, People Like Us, Chris Watson, Mika Vainio, and Fennesz) and features long-running UK turntablist Philip Jeck, who has made a number of great full-lengths of shimmering drones, and keyboardist Marcus Davidson, who I was not previously familiar with. This 7″ was recorded live at London’s Museum of Garden History Museum in May of 2009 and features two tracks that alternate between barely there drone and giant swells of sound that sometimes resemble the Italian horror movie soundtrack work of Goblin. What is most notable about the playing is that it is pretty much impossible to tell what sounds are coming from keyboards and what sounds are coming from Jeck’s turntables. Very impressive stuff. Two new songs both record[ed] live at The Museum Of Garden History in London. Jeck is teamed up with keyboardist Marcus Davidson, who we first heard on those Spire releases from a little while back, live recordings of various performances in acoustically unique spaces, often churches and cathedrals, hence Spire. The two are a perfect match, their sounds blending seamlessly into a shimmery organic whole, it’s impossible to tell where the keyboards begin and the turntables end, or if that’s Jeck playing bass, or just some warped old piece of vinyl, or if those washed out swirls of notes are being pulled from grooves or actually played by Davidson, but again, it hardly matters, the sound is ephemeral and spectral, slow swells of softly effected chordal swirl, fuzzy indistinct textures, a barely there rhythmic pulse, serene and so so lovely. The two tracks on this 7″ were recorded at a performance by Philip Jeck and Marcus Davidson during a long-weekend of events and talks revolving around the themes of Hauntology and sounds of the natural world in early summer 2008 in the resplendent surroundings of London’s Museum Of Garden History, located on the South Bank. Davidson plays keyboards and Jeck uses his familiar, but enigmatic array of record players, editing and overdubbed bass to create majestically blooming harmonics and beautifully textured patterns that draw us in and envelope us within their lush clasp. As with anything Philip Jeck is involved with, the magical connotations seem the most appropriate, as they elicit something unimaginably life-affirming in the A-side’s London Tenderberries which he duly morphs into an inverse dimension of dub-distanced and intangible subbass strafes moving across the stereo field within opaque atmospheres that seem to leave a fine layer of Thames fog mixed with ultra-fine pollen on the surface. Mystical, phantastical and utterly compelling material. Recorded live as a duet between turntables and keyboards (with editing and overdubbing bass added later), the main track here is a slow, dramatic piece, with the flip side conjuring the best moments of electronic dub. While artists who specialize in the use of a turntable as an instrument are a dime a dozen, no one else really uses the device as creatively or as intensely as Jeck. Truly “playing” it, rather than just using it as a way to sample or scratch records, he coaxes sound out of the players that bear little or no resemblance to the source material. London Tenderberry is a piece of slow drama that has no overt “record” sounds in it: shimmering synth pads, reverberated bangs and crashes, and a gurgling bass pulse meet to create a flowing river of opaque sound. The flip side, Tenderberries Version is not an ironic title at all, cutting the mix from the previous side up into throbbing bass and electronic synth pulses, leading to a complex variety of tone and rhythm, but with an intense dub sensibility that stands with the best of the genre. Within the confines of a 7-inch record, I must admit that this is a case where less isn’t more. Sometimes a project or specific work is best kept within a sub-12 minute space, where it is able to make its statement without becoming stagnant or repetitive, but that’s not this record. The complex nuances of the A side and the electro-like bass heavy flip just left me wanting more. Which is, I assume, the best compliment I could give. … There were plenty of surprises too – Marcus Davidson’s arrangement of the Buddhist mantra Om Mani for the main organ and tenor Robert Millner (odd on paper, but it really worked), and tenor John Beaumont’s solo delivery of a 12th century plainchant both emphasised that the Minster’s cavernous vault was made for spiritual and devotional sound. Davidson’s own works, being performed for the first time, were also highly impressive. The Grey Book saw the two tenors and soprano Amy Moore weaving around an engaging framework of organ music, while The Passing enhanced the main organ’s deep tones with some minimal but effective tape loops. … when it’s the turn of Davidson, who comes down from the great organ to play the great piano, I feel the atmosphere is changing. It becomes lighter, clearer, more quasi-melancholic and less ‘heavy meditative’. He plays a soft, emotional piece called Elergy . My first association is about something angel-like. I feel I’m being comforted or maybe my thoughts (that go in all directions) are being quietened by the music. Like Davidson wants to say: it’s alright, don’t worry, you will appreciate the organ too later on. And yes, he’s right. After a short break, the organ and vocals follow. I admit: by putting in such contrast, the organ achieves ‘fullness’, intensity and added extra value. Having never heard Marcus Davidson before, we were quite looking forward to his opening set. Anticipation can often lead to disappointment, but in this case even our already high hopes were exceeded. Playing an entire set on an effects-treated Roland synthesizer generated a sound thicker than most laptop performances we’ve heard. Davidson’s colliding organ notes layered with bright, atonal sweeps perfectly complemented the high church ceilings, so as soon as he was finished we couldn’t wait for his collaboration with Philip Jeck to begin.